A VIBRANT three days at the Inglis Classic Yearling Sale in Sydney resulted in Triple Crown Syndications bringing home eight yearlings of the highest quality. Among the purchases are two fillies and six colts, including an immaculate colt by leading sire Not A Single Doubt from the family of sensational filly Shamekha, who defeated Fastnet Rock on her way to victory in the Group 1 TJ Smith Stakes. Adding further impetus to his pedigree, he is bred on the same Redoute’s Choice/More Than Ready cross as brilliant Blue Diamond winner Miracles Of Life. In a glowing endorsement of this colt’s quality his breeder at Emirates Park, and owner of Shamekha, His Excellency Nasser Lootah, has bought back a significant share in the colt. 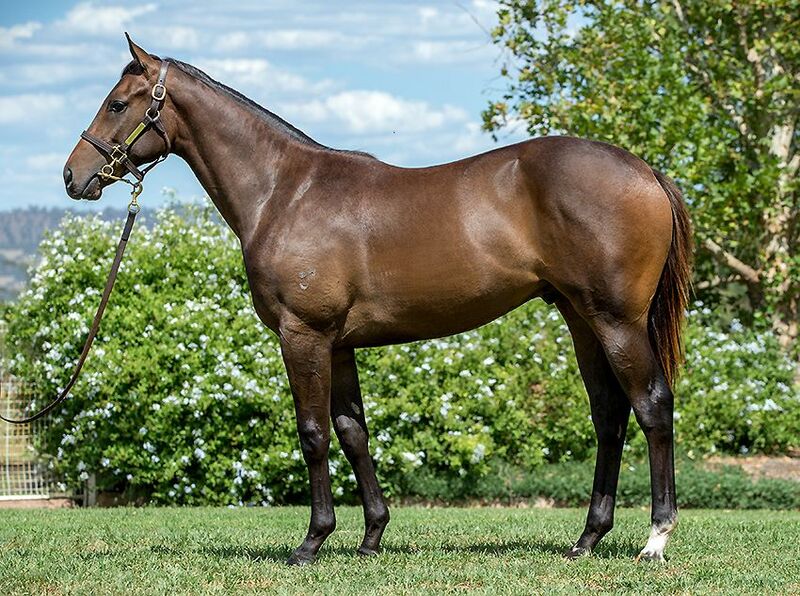 In an exciting expansion, we will be placing two colts with Melbourne-based trainers David Hayes, Tom Dabernig and Ben Hayes at their Lindsay Park stable, including a stunning colt by Testa Rossa, who is a real looker and three-quarter brother to super two-year-old filly Rostova. He will be joined by a lovely Your Song colt from the family of four-time Group 1-winning filly Divine Madonna. For the first time this year and with Inglis celebrating their 150th anniversary, the sale featured a Gold Riband session during which Triple Crown wasted no time in making their mark, taking home the first to be sold within the session, Lot 61, a striking colt from the sale’s leading sire (by aggregate), Yarraman Park’s I Am Invincible (pictured). He has all the signs of being an early two-year-old type, being out of Stakes-winning mare Magdalena, and a full brother to Gimcrack runner-up Tetsuko. Lot 213 represented our second colt by Not A Single Doubt, and he is from a superb family, stacked with two-year-old Stakes-winning form, headed by Golden Slipper winner Dance Hero. Also to race in The Red are two fillies by leading first-season sire Smart Missile, with Arrowfield Stud’s Lot 268, beautiful filly out of Tennessee Sunrise from the terrific family of devastating Group 1 winner Malaguerra, and Lot 182, a powerful yearling from the family that produced Group 1 winners Ensign Ewart, Fighting Warrior, Prussian Blue and, more recently, stakes winner Tuscan Fire. Finally, we were in the market for a striking colt from the eagerly anticipated first crop of Golden Rose winner Epaulette, with this colt to be trained by the mastermind of Epaulette’s racing career, Peter Snowden. He is out of a mare by champion broodmare sire Encosta de Lago, and from the family of prolific Group 1 winner, Horlicks, and Melbourne Cup winner, Brew. We are excited by the potential of all our acquisitions at this sale, and look forward to sharing in their success with their owners. We are taking enquiries into all our purchases now, with shares to be made available in select yearlings shortly. Please email info@triplecrown.com.au or call the office on 0294995212 to register your interest now!